Garden Plot Rental Program lets members of the Edgerton Park Conservancy with a range of gardening experience enjoy raising vegetables and flowers in the Edgerton Community Gardens. (Become a member). The annual rental fee is $35 after membership. This is a highly popular feature and space is limited. There is currently a waiting list. So join now to get on the list. Contact Lee Heston at lee.heston@yale.edu. Besides an enthusiasm for gardening and a desire to be part of a gardening community, prospective gardeners must be committed to the upkeep of their plots and fulfill a two-hour community work requirement during the growing season. Gardeners lacking experience are given instruction and advice throughout the season. The season generally begins in early April and extends to mid-October, although gardeners may use their plots all year round. Since 1998 two wings with 200 rental spaces have served the Community Greenhouse program. 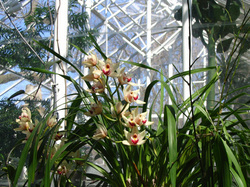 The humidified south wing is ideal for growing orchids under glass, while the dry east wing is used for plants that are not winter hardy. Space is limited and wait-listing is encouraged. A seasonal lease for the first space is $80. Each additional space is $70. 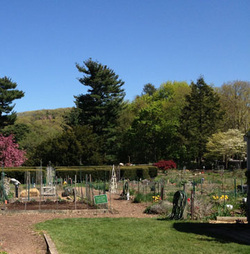 The greenhouses are at 75 Cliff Street, New Haven, just off Whitney Avenue.